Looking for a reliable concrete company in to hire for your project? Need repairs, resurfacing, new installation or replacement done? Live in Carmel, Indiana? We can help. Call and get your free estimate today. If you are in the market to start a construction project that will make a real, long-term investment in your home or business then concrete could be just the material for you. Concrete provides the ideal combination of versatility and durability that makes it a perfect material when you are planning your home improvements or upgrading your commercial facilities. That said though, it can be a difficult medium to work with, and hiring the wrong contractor can lead to serious problems down the line. Thankfully, you have no such worries here! We have been proudly supplying concrete survives to the people of Carmel, Indiana for years. Our customers come back to us again and again because they know they are getting quality, value and excellent service each and every time. If you’re in the market for concrete, here’s just a flavor of the services and products we provide in Carmel. Nothing makes a better first impression than a driveway – after all, it’s often one of the very first things a guest will see as they approach your home. A concrete driveway these days can be finished with a range of stamped finishes and a vast array or color finish products. Near enough any product, natural or manmade can be reproduced in near perfect detail on your driveway. Whether this is a natural stone effect or a brick pattern, concrete driveways these days can be made to match virtually any design choice. Wooden decking seems almost to have taken over patio design these days – but who wants to have a back yard just like everyone else? Concrete patios are a true “blank canvas” product that provide a wealth of design possibilities. Just like driveways, we can stamp and color to produce a finish that matches your dream patio design. 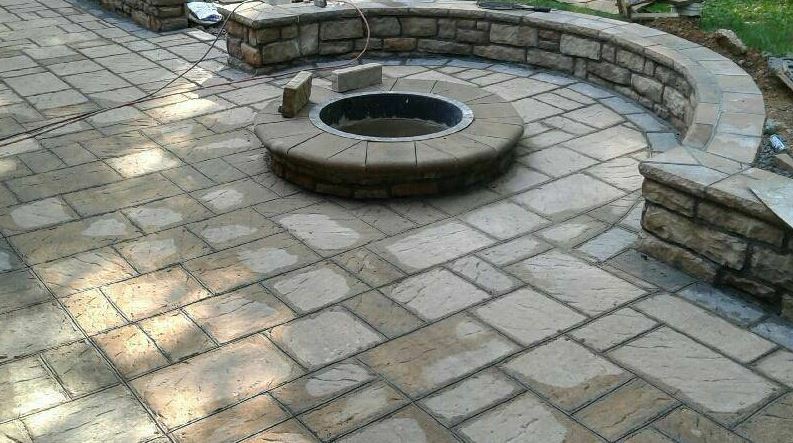 Add in the superb durability and low maintenance and a concrete patio can provide a magnificent center piece for your backyard that can last for decades. 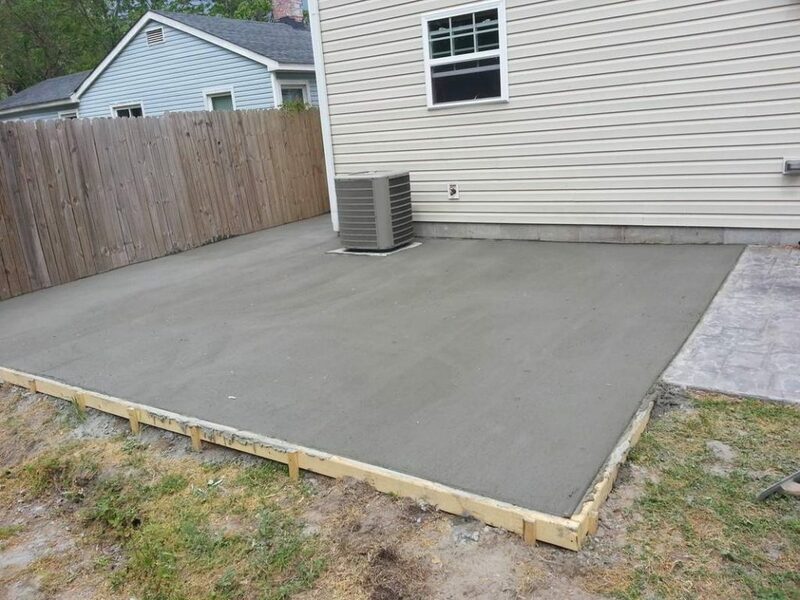 Whether we are talking 20 inch, steel reinforced slabs or decretive, 2 inch thick slabs for laying a path in your back yard, we’ve got all the bases covered. What’s more, we take immense pride in all of our products. So if whether we are supplying bulk slabs for the construction industry or just enough for your back yard building project, you can rely on us to provide a premium product every time. We are proud to boast one of the most extensive libraries of concrete stamping mats and color finishes in Carmel. 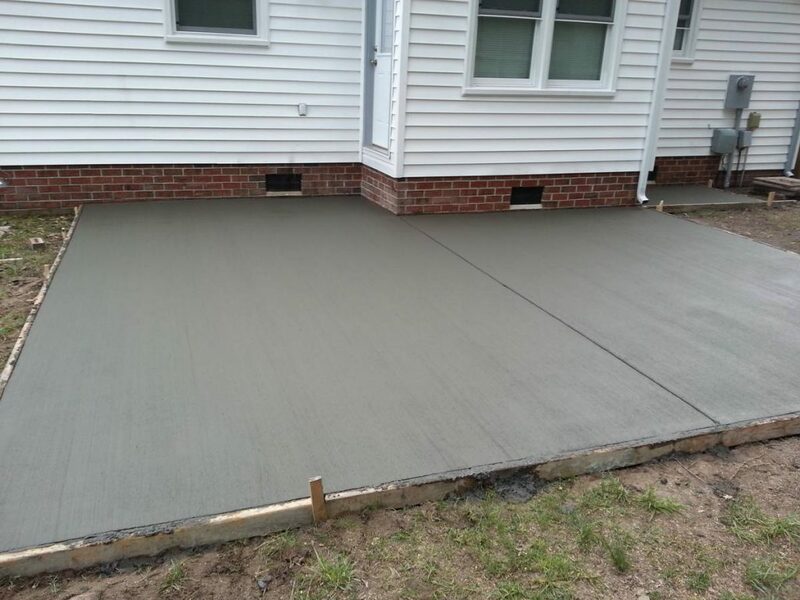 Whether it is a patio, a garage or kitchen floor or a driveway, if concrete can be laid we have the tools and experience to produce any one of dozens of design choices. Please get in touch with us to discuss the whole range of products and services here. As a little taster, we have a range of designs spanning from the traditional to the contemporary, and designed to expertly mimic any number of natural and manmade style of finishes. Concrete stamping, as supplied by us, truly is the ticket to a bespoke finish to your home or commercial construction project. If you already have a pool or perhaps are considering installing one then please feel free to contact us to discuss your options with pool decking. After all, a pool can often be the jewel in the crown of your back yard. Why scrimp on inferior materials for pool decking when concrete can provide the perfect construction material to make your pool stand out. Perfect for commercial installation but also a great idea for domestic construction projects. Aggregate is the name given to the small stones that make up the mixture of concrete. By exposing it in this construction method, we remove the very top layer of the concrete, leaving the stones behind to form interesting and natural patterns. It’s a great design halfway point between full stamping and coloring, which can add additional time to a project, and simply leaving poured concrete to dry in place which can be… a little dull. Concrete, as we’ve said, is an extremely durable product. However I’m sure you don’t need telling that nothing in this world lasts forever! We supply a wide range of repair services. Whether this is fixing installation damage for new concrete or just offering options for the repair or replacement of old, worn out concrete we will work closely with you to supply a range of cost effective solutions. What’s more, we don’t believe in temporary fixes here. 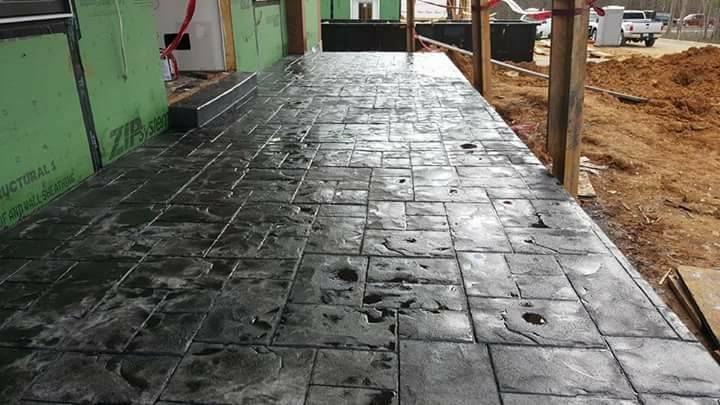 We will always endeavor to diagnose any underlying problems with your current concrete installations, and we will work with you offset any pre-existing problems to enable us to provide long term solutions. What’s more, you will never feel pressured to purchase repairs or services that you don’t need. We never up sell, we simply provide the best solutions. That’s why our customers are happy to recommend us again and again. Sometimes however, a full repair is not required. We also supply resurfacing services, so if your preexisting concrete is still structurally sound but just needs a bit of a face lift, well we could be just the people you are looking for! We have been proudly supplying concrete services and products to the people of Carmel for many years. If you too are interested in joining this long tradition (and we really hope you are!) then please feel free to contact us for a quote or even just an informal chat about our products and services.